The U.S. Navy is trying to dodge its responsibility to conduct a critical test of its new, $13-billion aircraft carrier. Language included in the a subcommittee mark for the 2018 National Defense Authorization Act that would strip the requirement for the Navy to complete explosives testing on USS Gerald R. Ford, CVN-78. The Straus Military Reform Project and the Project on Government Oversight sent a letter to the U.S. Senate and U.S. House Armed Services Committees urging members to strike the language. The provision would permit the Navy to delay shock trials until the second ship in the class is ready for testing in several years. Waiving this requirement for Ford would endanger the lives of the 4,300 sailors of the ship’s complement and risk massive cost overruns in the years ahead as the Navy continues building an untested design. Shock trials ensure each new ship class is suitable for combat. They occur when the fully kitted-out ship heads out to sea with its crew. Explosives are detonated underwater in relatively close proximity to the ship in order to learn if the ship’s systems are sufficiently hardened to carry out missions in the rigors of combat conditions, and if the crew would be able to rapidly identify and fix any problems that resulted during those conditions. If the language stands and the Navy delays the tests, it would run the risk of sending Ford with her 4,300 crew members into a situation where a single close-proximity explosion could render her useless and vulnerable. Moreover, if the tests later reveal fundamental design problems when they are finally completed, the Navy would have to pay for an expensive retrofit of Ford, the second-in-class ship John F. Kennedy and the third-in-class ship Enterprise, which would be underway by the time the tests finally took place. 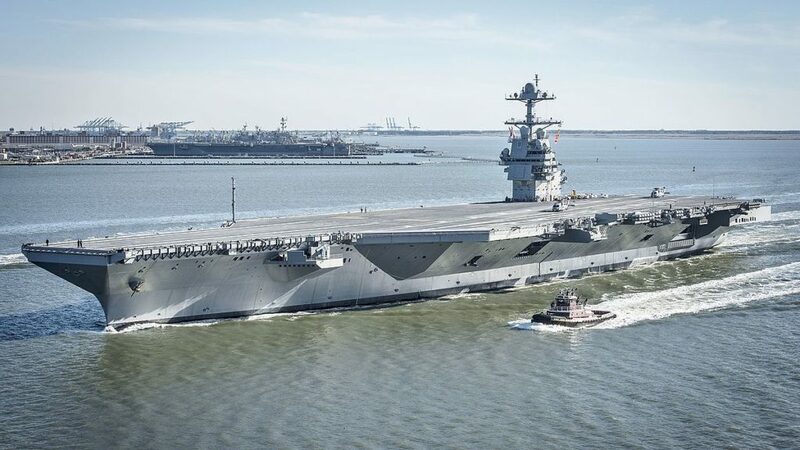 The Navy’s previous attempts to wiggle out of this testing requirement was questioned by the Director of Operational Test and Evaluation, which disapproved Ford’s test-and-evaluation master plan. These earlier statements makes this latest effort to bypass realistic combat testing all the more disturbing.